Here's a common dysfunctional pattern we see when lifting the arm overhead. ❌ The picture on the left displays a hyperextension pattern at the lower back and a flaring of the ribs. This suggests a few things might be up. There could be pain or injury, there could be an underlying mobility, stability/motor control or strength problem. The body will find away to get that arm overhead, and in this case, has extended at the lower back and flared the rib cage. 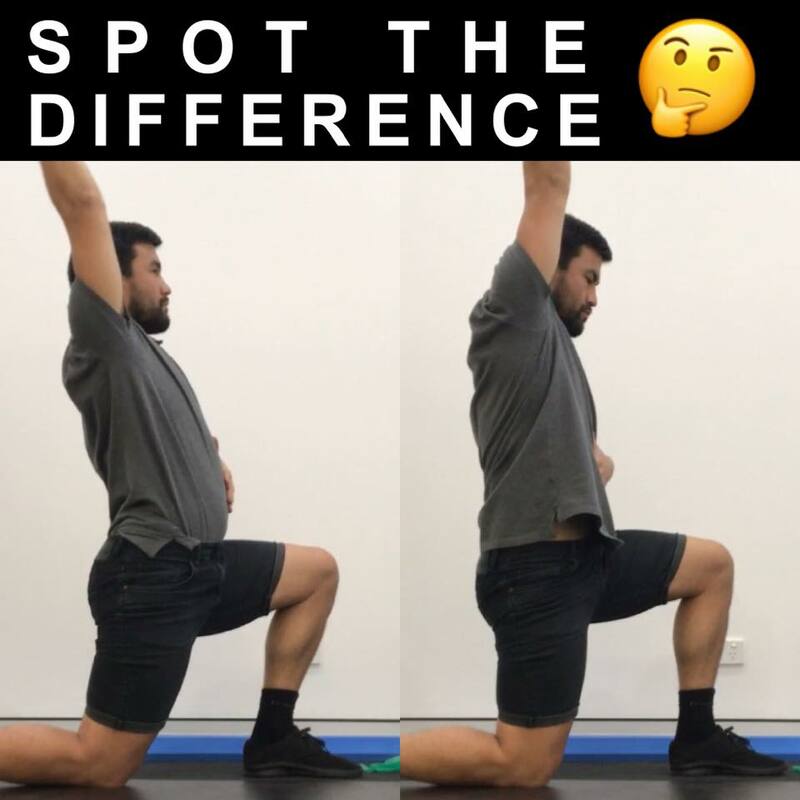 ✅ The picture on the right shows better trunk stability allowing the thoracic spine, shoulder and shoulder blade to do its thing and move in synchrony into an overhead position while maintaining control of the torso.